Hormel Foods Corporation (NYSE: HRL) invites you to participate in a conference call with Chairman, President and Chief Executive Officer, Jeffrey M. Ettinger, and Senior Vice President and Chief Financial Officer, Jody H. Feragen, to discuss the company’s second quarter results. The company will issue its earnings release at 6:30 a.m. CT (7:30 a.m. ET) on May 22, 2008, and will host a conference call at 9:00 a.m. CT (10:00 a.m. ET). From outside the United States, call 303-262-2200. AUDIO REPLAY: You can listen to a taped replay beginning at 11:00 a.m. CT on Thursday, May 22, 2008, until 11:59 p.m. CT on Friday, June 6, 2008. 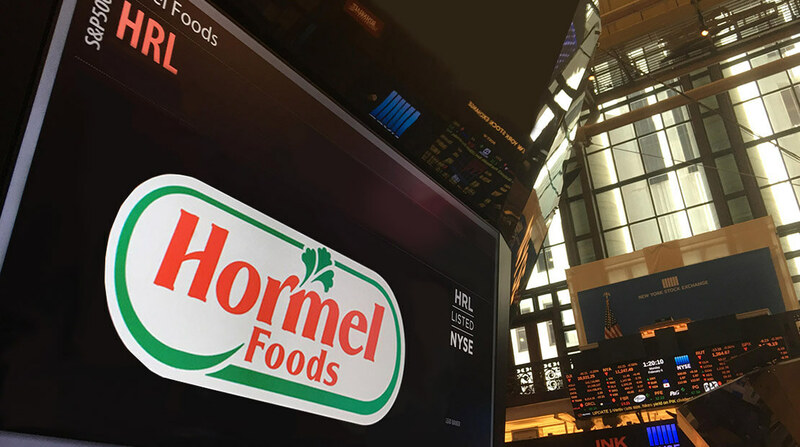 WEBCAST: To listen to a live Webcast of the conference call, go to the company’s Website, www.hormelfoods.com, and click on Investors, and you will find the link at the top of the page. Hormel Foods to Break Ground at New Production Facility Hormel Foods will break ground today on a new production facility in Dubuque, Iowa.